40th Anniversary – Mid South Coast Amateur Radio Club Inc. 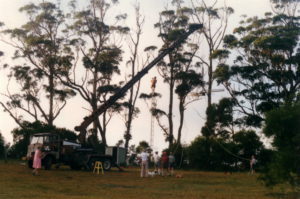 Mid South Coast Amateur Radio Club Inc. This page is dedicated to providing information on the events which will celebrate the 40th Anniversary of the founding of our Club. 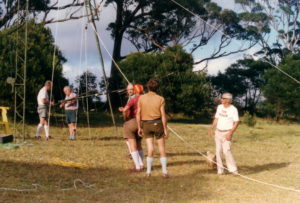 The Mid South Coast Amateur Radio Club was formed on 6th November 1976 at a meeting of radio amateurs at Tomintool, the home of Frank Hill, VK2HQ. 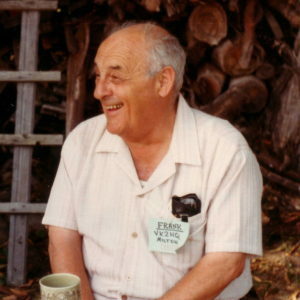 Frank became the founding President. A repeater was installed at Frank’s home, and although it has changed location on several occasions, it has operated continuously since then. Soon after, “nets” began operating on the repeater and on HF frequencies, which are still going. The Lyrebird, the Club magazine, began to be published soon after and is still being published today. The Club has sought and been granted the special event callsign VI2HQ40 for the period Monday 31st October to 13th November 2016. All members will have received an invitation to be put on a roster to operate this station. At the next meeting on the 12th November 2016 we will celebrate the 40th Anniversary with a delicious luncheon with current and past members of the Club. Currently we are sifting through the archives to find material to put on display and for inclusion in videos and slide shows to be shown on the day. Please come back and visit this page regularly. It will be continuously updated to keep members informed of happenings related to the Anniversary Celebrations. Gerald VK2HBG has taken on the responsibility of coordinating the operation of the special event station. He may be contacted by email at vi2hq40@gmail.com or by phone on 4422 4182. All members and former members that we have a record of have received by email or post an invitation to the celebrations containing details of how to pay. If somehow we have missed you please use the contact form on the home page to contact the Secretary. The Club will be operating a special event station from 31 October to 13 November 2016 as part of the the Fortieth Anniversary Celebrations. A roster of volunteer members are hoping to have the station on the air for as much time as possible during this period. A callsign of VI2HQ40 will be used. Contacts with VI2HQ40 will be able to be confirmed with a QSL card. 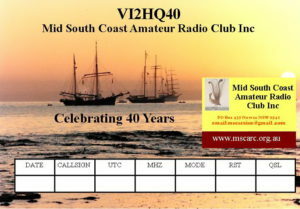 Requests for QSL card can be made to vi2hq40@gmail.com. The QSL card will be forward by email as a PDF file. Roger Harrison, VK2RZH Wireless Institute of Australia Director will be traveling from Sydney to join us in celebrating the Club’s 40th Anniversary.